Apparently, living in Judea & Samaria is just too dangerous for any reasonable person to expect to be safe. But is it really? 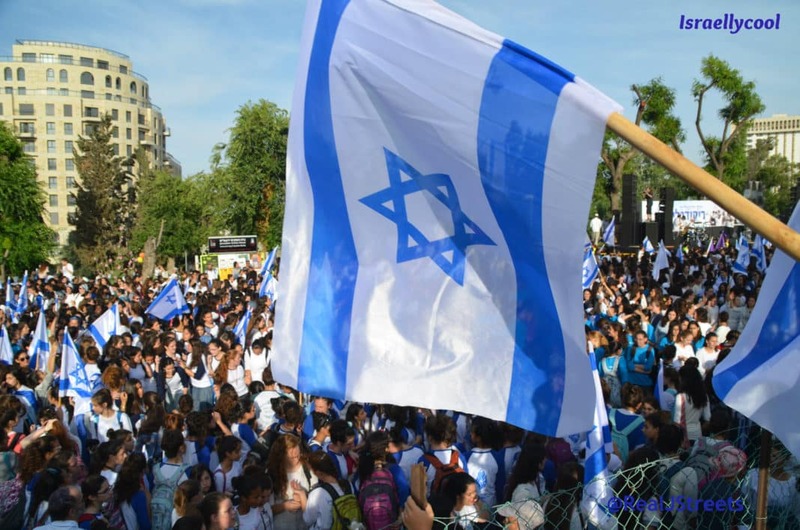 According to a report released by the IDF earlier this year, 20 Israelis were killed in terror attacks originating in Judea and Samaria in 2017. How does that compare to Judge Collyer’s district of Washington DC? Well, according to the Washington Post, in 2017 there were 259 homicides in the Washington region. This means the Fraenkels were being lectured to about living in an area that was just too dangerous, by a judge in a city that has 13 times the number of homicides. That’s like someone in Vatican City saying there are too many priests in Las Vegas. 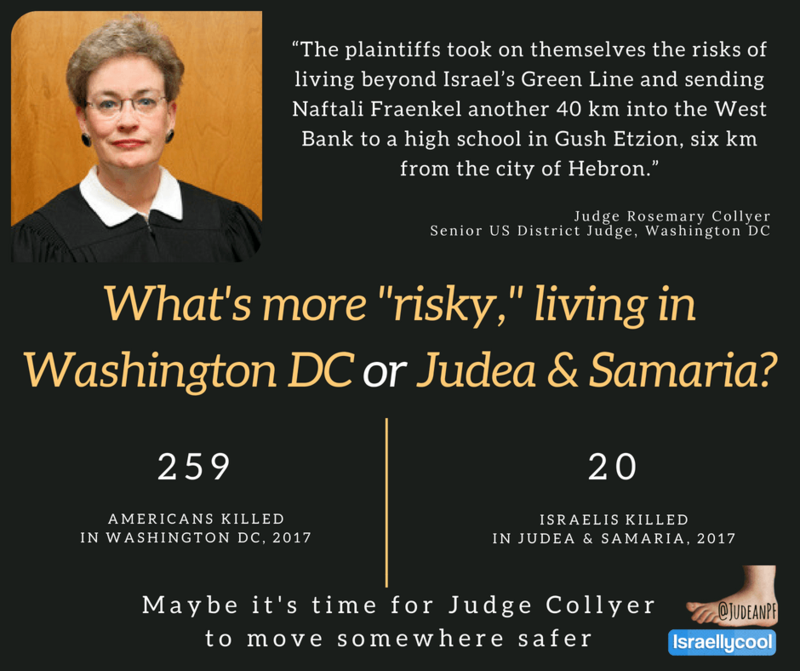 Perhaps Judge Collyer should consider moving somewhere safer.